Entry-level Green membership to VCIA is either $250 annually, or a recurring membership fee of $25 per month. 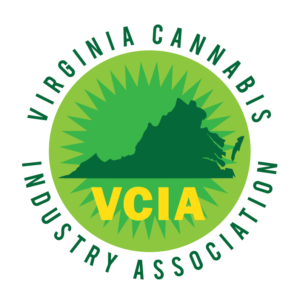 Members are listed in the Directory, and receive discounts to VCIA events. Silver membership to VCIA is either $1000 annually, or a reccurring membership fee of $100 per month. Silver Members can receive committee or board seats, are listed in the Directory with a small logo and link to their business. Silver members also receive 1 complimentary ticket to select VCIA events. Gold membership to VCIA is $2500 annually, or a recurring membership fee of $250 per month. Gold Members can receive committee, board, or officer seats, and are listed in the Directory with a larger logo and link to their business. Gold members also receive two (2) complimentary ticket to select VCIA events. Premier VCIA membership, Platinum, is $5000 annually, or a recurring membership fee of $500 per month. Platinum members can receive committee, board, or officer positions, are listed in the Directory with a large logo/link and footer logo/link on VCIA website. Platinum members also receive four (4) complimentary tickets to select VCIA events. Additional benefits include social media and blog mentions (for silver, gold, and platinum members), complementary industry pins, and representation by the association in lobbying efforts.